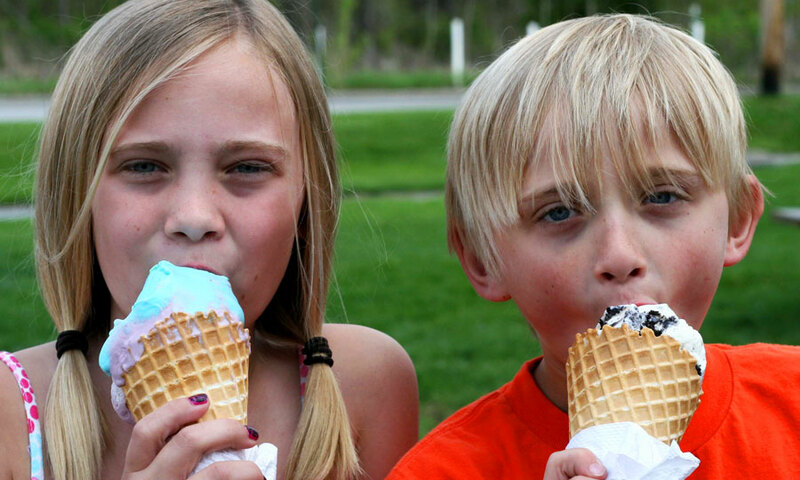 Before Lowell and Jan Vanderveer became famous in the community for providing the best ice cream in the area, they were known for their hard work in Goshen Community Schools. 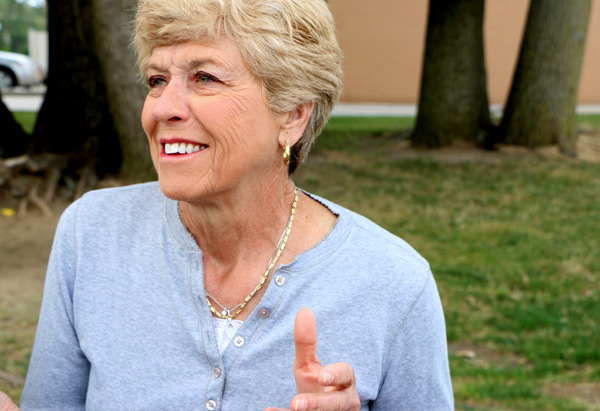 “This was a fluke that we bought this,” Jan said with a laugh about the ice cream shop. Lowell taught math at Goshen Middle School for 28 years, while Jan taught and then was principal for 10 years at West Goshen Elementary School. Several years before the couple retired in 2001, Lowell and Jan’s brother, Randy Steffen, had been looking for a project to keep them busy during the summers. 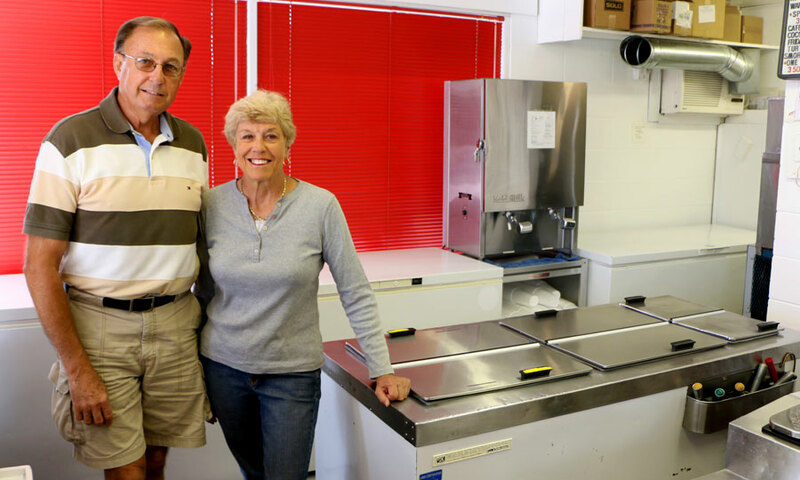 After Jan learned from the daughter of The Chief‘s former owners that the ice cream stand was for sale, the Vanderveers and Steffens decided to take on the new adventure of running an ice cream business. In June of 1994, Lowell and Jan Vanderveer and Randy and Vanessa Steffen re-opened The Chief. Soon after it opened, the couples were making 40 gallons of ice cream a day a couple times a week. To keep up with how quickly it sells, the families now need to make between 65 and 100 gallons a day every day during the summer months they’re open. The Chief has over 12,000 likes on Facebook! How else will you know the flavor of the week? Along with increasing the amount of sweet cream they make, they’ve also added a flavor of the week, highlighting flavors like maple bacon, Key Lime Pie and mango. Best-selling flavors, though, are raspberry and butter pecan, besides vanilla which goes into most of the sundaes and other treats. “It started as nothing and went to ‘wow’!” Lowell said. 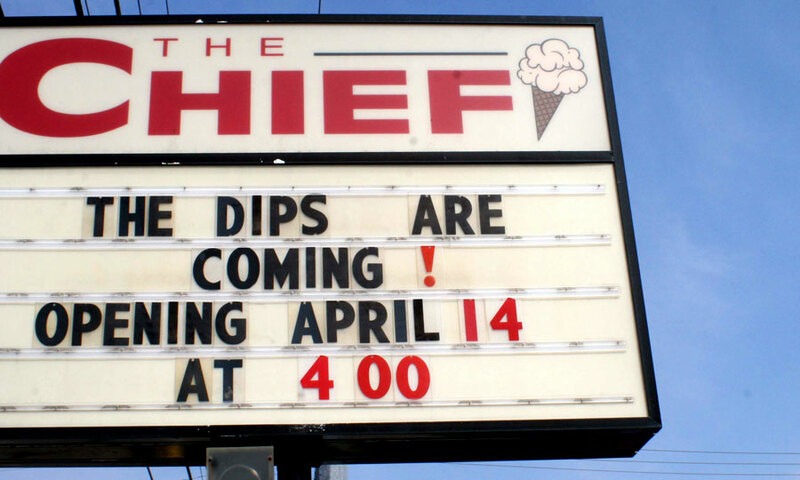 The Chief is not only a Goshen staple because of its flavorful treats, for which the owners have won multiple distinctions like Best Ice Cream in Elkhart County and the Best in Indiana, but because of its role in developing Goshen youth and giving back to the community. “We knew from the start we wanted to have high expectations for our kids, for our employees,” Jan said. The Vanderveers and Steffens employ local high school students, keeping the stand open only from late spring through early fall, so the students can focus on school. The Chief also doesn’t open until 1 p.m. on Sundays so that employees can go to church and have time to spend with their families. 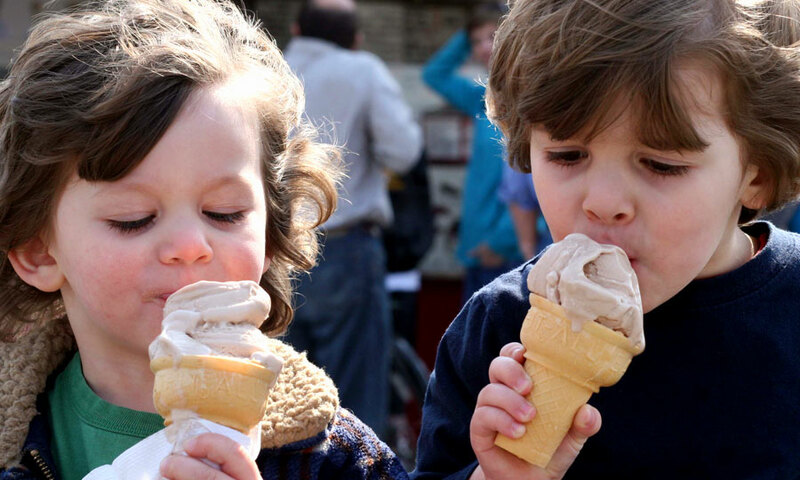 “They learn so much more than just dipping ice cream,” Jan said. 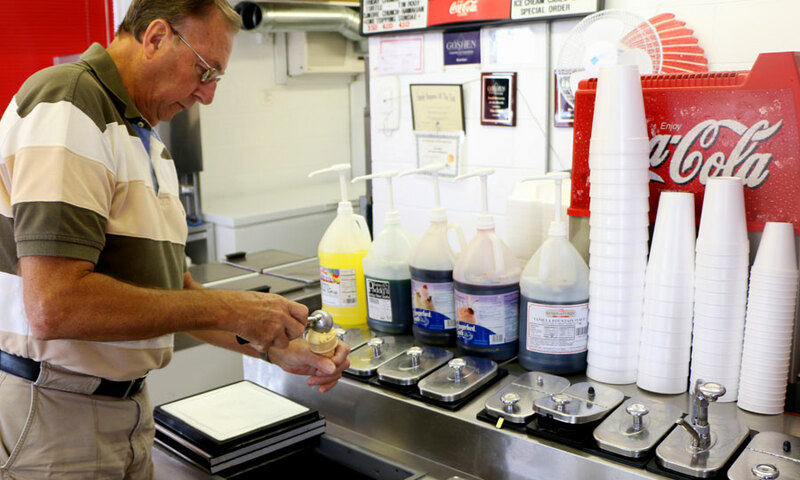 Employees quickly learn how to work together harmoniously in a small space inside the ice cream stand, to count back change without a cash register and to interact with hundreds of customers each day. In December, The Chief sells Christmas trees, then donating the profit to a local family in need. Giving back to the community, “giving back what was given to us” is important to us, Jan explained. 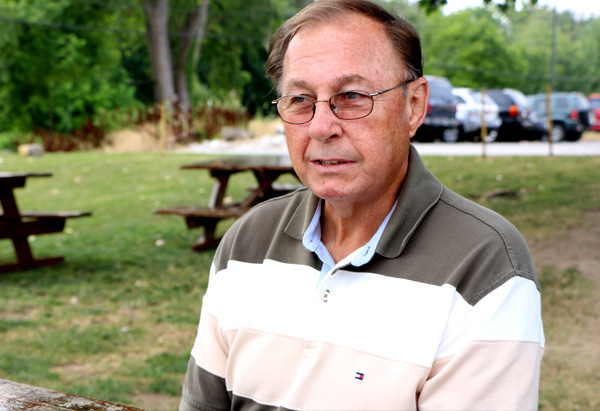 The Vanderveers both grew up in nearby cities, moving to Goshen in 1966. They said they have never really considered leaving the Maple City. 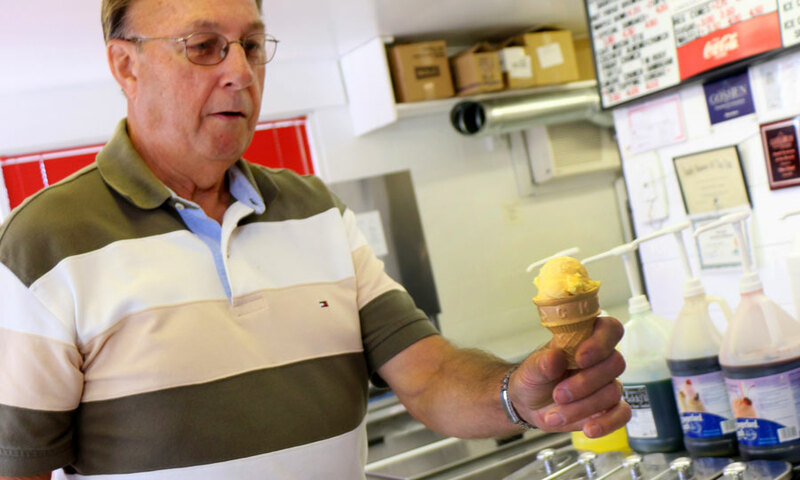 In the summer of 1964, a high school football coach named Ralph Peterson, along with his wife Cindy, opened a small ice cream stand on the west side of Goshen. 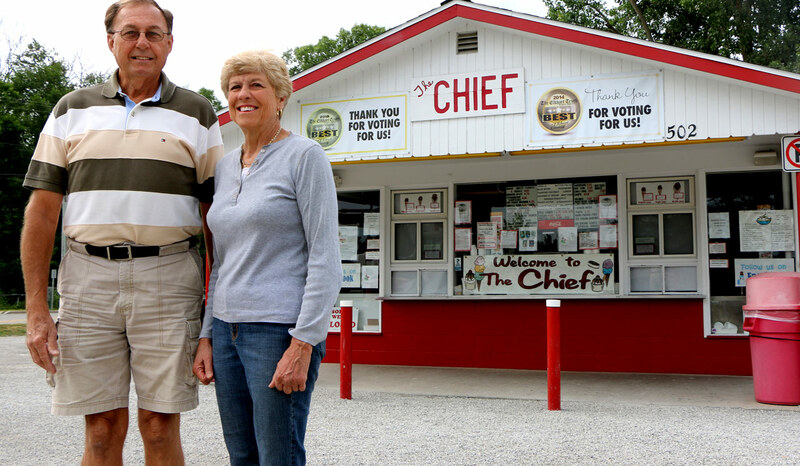 Ralph and Cindy named the stand “The Chief,” in reference to the school mascot. It stood next to busy Lincoln Ave, surrounded by what was, at the time, mostly marshland. For three years, the Petersons owned and operated The Chief, which quickly became known for delicious homemade ice cream that came in three basic flavors: vanilla, chocolate, and strawberry. 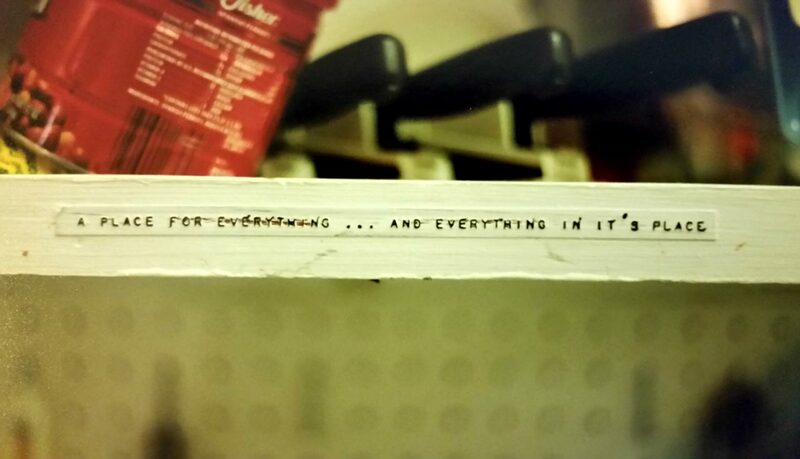 Cindy Peterson put this label on a shelf, and Jean Miller adopted it as her favorite saying. Neatness was and continues to be very important to her to all The Chief’s owners. Paul and Toni Miller in 1993, about 3 weeks before he passed away. Santa was a favorite during tree selling time. 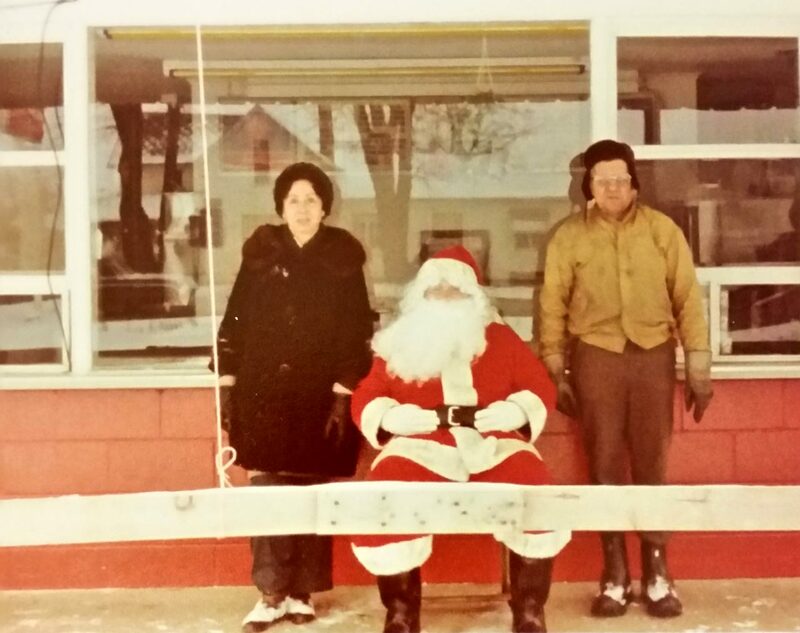 Paul and Jean Miller with Santa Claus in 1977. At the end of the 1968 summer season, Ralph and Cindy put a “For Rent” sign in the window. Soon after, a factory worker named Paul MIller called about renting the space and taking over the business. Paul and his wife Jean rented and managed The Chief for 25 years. During the Millers’ tenure, they introduced new flavors like the popular raspberry, lemon, butter pecan, and peanut butter (Paul’s own recipe), as well as adding sandwiches to the menu. They also began the tradition of selling Christmas trees during the holiday season. 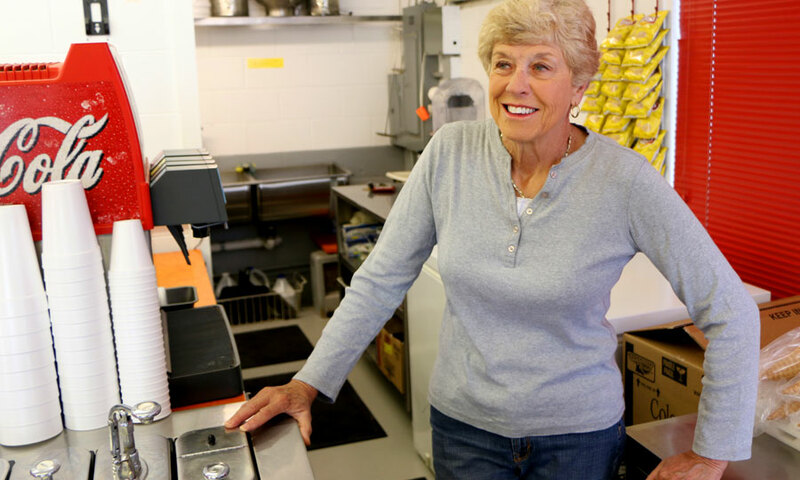 Jean ran the shop while Paul worked in the factory during the day and made ice cream at night. The couple hired mostly local high school students and taught them to make ice cream and interact with customers. 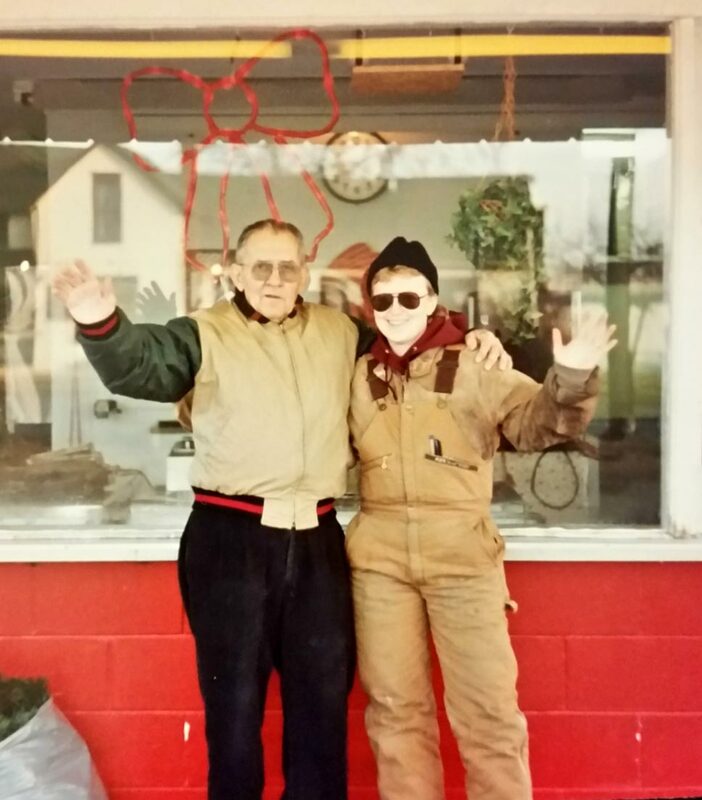 The Millers’ daughter Toni, who is now a welder in upstate New York, worked on-and-off at the stand from age 7 until her senior year of high school. In the early ‘90s, Paul and Jean both became ill and were unable to continue the business. So in 1994, the Petersons (who were still the owners) sold The Chief to local high school teachers, Lowell and Jan Vanderveer, The Chief’s current owners.